This article will cover three situations where people often find it harder to make friends - generally being an adult, being in a new city, and being out of university. The advice for dealing with them is similar enough that I'll cover them all in one spot. They share the common obstacle you're no longer surrounded by hundreds or thousands of your peers like you are when you were in high school or college. Post-graduation, people are also way more likely to be busy with work and family. You have to hustle more to find a social circle. 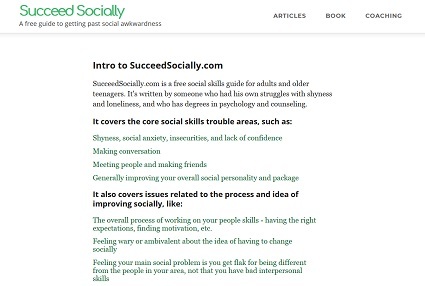 The ideas here are a supplement to the general principles in articles like How To Make Friends And Get A Social Life and How To Meet People. This article will assume you know my basic thoughts on making friends - more or less that you need to take the initiative to meet potential friends, then actively try to hang out with them outside the context you met them in. In university someone can often get a good-sized social circle together pretty quickly if they're good at that kind of thing. There's endless people to meet all at once, and they're often eager to make friends themselves. All they may have to do is join a frat or sorority during their first week at school, and instantly have twenty friends to hang out with every day. Outside of college you don't have those easy opportunities. Sometimes things will fall into place and you'll meet a new group all at once, like by joining a rec sports teams. But it's also likely you'll have to put together your social life one bit at a time. You may make one friend through work, maybe two through a place you volunteer, one through the bridge club you joined. You may check out a bunch of classes and events and find they're a bust. There may be stretches where there's not a lot of progress. In general you shouldn't feel ashamed of wanting to make friends, but I know some people are self-conscious about it, and feel like they're some needy wretch who's bothering all the people who already have social circles. 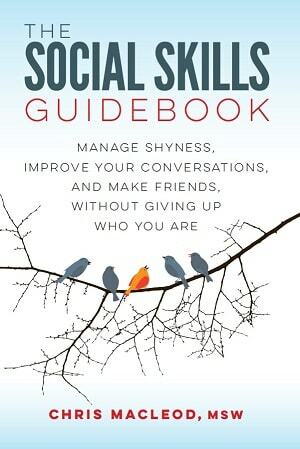 People get that someone may need to freshen up their social life. They realize that adults can fall out of touch with their current group little by little. Of course, they think it's normal that you'd want to get a social life going if you just moved to the area and don't know anyone. No one will hold it against you or look at you with pity if you try to strike up a conversation with them or invite them to hang out. In fact, they'll probably respect your gumption for trying to meet them. When you were a student you may have met a lot of your friends seemingly without doing anything. Like you may have moved into a dorm, and there was an unspoken assumption that everyone on the same floor would hang out together every weekend. Once school's done friendships don't fall into your lap as often. If you want to improve your social life you may have to be much more purposeful about it, and do things like go to a meetup specifically geared around making friends, or join on a club just so you can meet new people. These approaches may be outside your comfort zone, or feel too forced or unnatural. It may make you nervous to walk into an event full of strangers and try to make small talk with them. It may feel like too much work to take a class just on the off chance you might meet someone you could go for coffee with down the road. You might hold out for some casual, effortless way to make friends like from before. Sometimes you'll get lucky post-university and meet a group of buddies easily, but it doesn't happen as often. Try to make peace with the fact that you might have to search for friends in ways you're not used to. If you're older you may have lost touch with many of your friends, but may still be able to rekindle some relationships, or even downgrade them to acquaintances who you may be able to meet other people through. After moving to a new city you may know one or two people who live there. That may not be a lot, but it could be a way to jump start your social life. For example, you could get in touch an old classmate, who may invite you to a small party they're throwing with their roommates, and you can meet all their friends. Assuming you and at least some of your friends stay in the area, your social life doesn't have to change that much right after you graduate. You can keep hanging out with your current group. Nothing is stopping you from continuing to meet people through all the non-school methods you've already been using (e.g., you can still rejoin that beer softball league next summer, stay on as a part-time server at the restaurant, or keep dropping by the pub or comic book shop you like). Just because you've technically graduated from college doesn't mean you have to throw all this stuff out and start from square one. Once you've graduated you get to go to work instead of going to classes, and that becomes one of your big sources of potential friends. However, some jobs are a lot better for this than others. If you're lucky you'll have a position in a large organization and be put in a department with a bunch of other fun people your age. But you just as easily could be in a small company with only six other employees who are all are thirty years older than you. If your job is a bust you'll have to look elsewhere. When you're in university you can meet lots of people through your classes or your living arrangements. If you meet anyone through a sports team, part-time job, club, or association, that's just a bonus. Once college is gone your hobbies become a lot more important. People who have social hobbies have a way easier time making friends when they move somewhere new. As they're settling down in another city it just comes naturally for them to join a bunch of sports teams, get involved with a theater or improv comedy group, or start volunteering for a non-profit, and before long they've made new friends. It's a lot harder if you mainly have more solitary hobbies like reading, watching movies, or going for long hikes by yourself. Of course there's nothing inherently wrong with enjoying those things, but at least on the "helping you meet people" factor , they fall flat. If someone has mainly individual hobbies they can fall into a routine of going to work all day and then hanging around at home during most of their down time. If that describes you, try to find some more social hobbies. You don't need to totally overhaul your personality or all your pastimes, but do enough that you can meet as many friends as you'd like to. Make a general shift towards doing more stuff outside of the house. It may also help to try to find a way to make your existing hobbies put you into contact with more people. Like if you normally exercise at home, try joining a class or running club. If you like reading about new ideas, try to attend some seminars or book clubs. Maybe the members on your favorite web forum arrange local meet ups. Don't be reluctant to stretch yourself. You may not have any social hobbies now, but that doesn't mean you never will, or that there aren't a some out there that you would like and just don't know it yet. You'll be picking up new interests throughout your whole life. Take the opportunity to try out some new ones, and potentially meet people along the way. When you're in college you can afford to be a bit lazy about making friends. If you meet someone you get along with, but don't pursue the relationship as hard as you could have, it's not the end of the world. You may see them again in class for the next eight weeks. There are tons more prospects where they come from too. When you're in a new city, or no longer in college, the opportunities usually don't pop up as often. You have to be a little more on top of things when it comes to following up with people you hit it off with. Sure, at your job, or at the start of a sports team's season you can still be a bit lax. But there will also be more times where you'll meet someone only once or twice, and if you don't jump on the chance right there, you'll have lost it. You may go out to dinner with a few other people and meet someone whose company you enjoy, and could likely not ever see them again after that if you don't act. A lot of hobby-related venues like dance classes, rock climbing gyms, or Toastmasters have people who will only drop in a handful of times and then move on. When you do meet a person you could see yourself being friends with, and there's a chance you may not cross paths with them again, be more active about getting their contact information the first time. If you've only chatted to them for a bit, it's still probably okay to add them on whatever social networking site is popular in your area. If you've gotten to know them fairly well the first time or two you met, I'd see nothing wrong with asking them for their number or if they'd be up for hanging out. Thought like I said earlier, try not to slip into a headspace where you feel like you have to quickly make up your mind about these time-limited opportunties. The last point got at this. You'll be lucky if you can find one reliable way to meet a ton of new friends. It's more likely that you'll have to test out a bunch of them. Some approaches won't go anywhere at all. Some will lead to you making a friend or two. Get into the habit of keeping your eyes open for new methods to try. My article on meeting people covers that stuff, so I won't repeat them all here. When you’re in school you mostly fall into being friends with people around your age and who are from a similar background. As you move through adulthood the age range of people you meet and could hang out with increases. Don’t be too quick to dismiss someone who’s older or younger because they don’t fit what you imagined your social circle would look like. Just because someone's birth year is a decade up or down from yours doesn’t automatically mean you have nothing in common, or that they’re silly and immature, or stodgy and out of touch. Similarly, you could very well become good friends with someone who's from a different socioeconomic background, or who comes from an area with values you're not used to. Look at everyone on a case-by-case basis. This point is mainly for younger, unattached people. If you're a bit older and you've moved to a new city with your family it's not as applicable. Aside from not having social hobbies, the other way I've seen people end up lonely in new cities is when they live out in some far-flung area away from the downtown. Not having access to reliable transportation makes living far from everything even worse. It's a lot simpler to get a social life going if you live close to where all the action is, or failing that, if you have a method to get there easily. You have more places to go. There are more of your peers in those areas. You're more likely to go somewhere if it's a fifteen minute walk away vs. an hour-long bus trip. It's easier for people to visit you and for you to visit them. You can stay out later because it's quick to get home.